Playing quarterback at a high level requires a pairing of skill sets that at times seem paradoxical. Intense preparation and freewheeling improvisational skill. Finesse and grit. Control and abandon. An elephantine memory and selective amnesia. It’s why it’s the toughest position to evaluate. 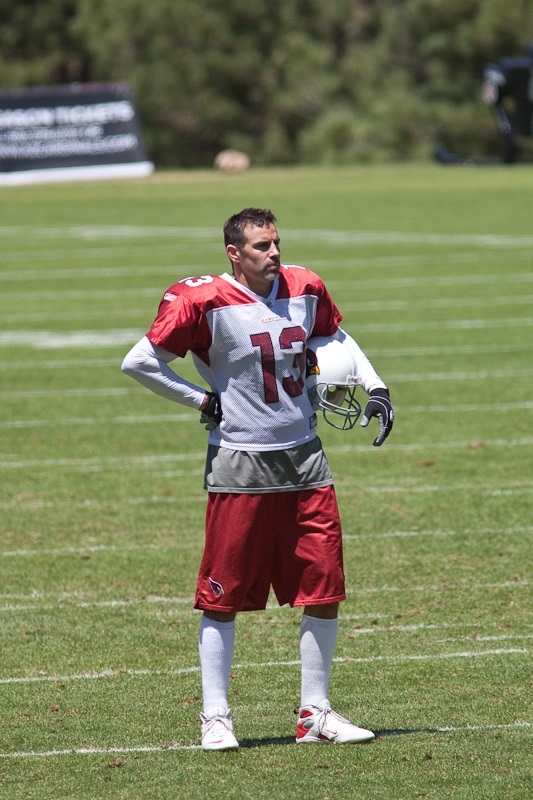 Kurt Warner sat on the bench at Northern Iowa for three years. The fourth year, he was the Gateway Conference’s Offensive Player of the Year. We know the rest of the story. Johnny Unitas was cut by the Pittsburgh Steelers. Brett Favre might have drunk himself into a stupor if he stayed in Atlanta where then-Falcons’ head coach Jerry Glanville promised the only way Favre would get onto the field was a “plane crash“. I wouldn’t bet my pocket change that Boston College senior Chase Rettig becomes a quality starter in the NFL. There are way too many factors to consider to draw a conclusion at this point. Yet there are qualities to his game that I like a lot that give him potential as a pocket passer. And yes, there are still pocket passers thriving in the NFL. Rettig has played since his freshman year at Boston College and has the dubious distinction of working with five offensive coordinators in three years. Browns journeyman backup Jason Campbell can relate – and not just from his days with the Redskins. He had multiple offensive systems during his Auburn career. Most don’t project Chase Rettig as a draft-worthy quarterback heading into the 2013 college season. However, Rettig plays well enough to earn consideration in early May even if his team continues its underwhelming play. This is a 3rd-and-10 pass to his receiver, Alex Amidon on a deep out. Rettig faces Miami’s defense of freshmen and sophomores at the BC 32 versus a defense with two safeties high. This appears to be a Cover 2 look, especially as we see the pass arrive between two defenders. Rettig begins the play with a three-step drop, takes a hitch step to buy time, and then climbs the pocket away from the pressure coming from the edges. The movement has precision and Rettig maintains enough balance and position to deliver this deep out from the BC 25 to Amidon at the UM 47 just outside the numbers of the right flat and between the safety and linebacker. The fact he has to climb the pocket and still hits the receiver on time with good placement at helmet level is another indication that Rettig has fundamentally sound technique and a strong enough arm for NFL teams to work with. Rettig’s execution on this 1st-and-10 pass with 4:30 in the half at the UM 23 from a 1×2 receiver, 11 personnel set is a fine demonstration of precision on a few levels. He faces two safeties deep and a 4-3 front with man coverage on the outside. Rettig extends his arm on the play fake to the RB before finishing a five step drop and this forces the Miami linebackers to attend to the prospect of the run. Rettig finishes his drop and delivers a nice seam route behind the linebacker and safety after his back foot hits the ground. Although the ball goes through the tight end’s arms, I thought it was a good display of touch and placement. The tight end was late to get his hands up and the receiver wasn’t precise with his hand placement. Target a starting tight end – or several backups – in the NFL and this is a touchdown. This six-yard completion with 12:42 in the third quarter doesn’t seem like much of a play, but there are some nice things happening here. Rettig’s receiver Amidon is the outside twin receiver outside the numbers. Rettig executes a play-action fake to the running back, hitches twice, and finds his receiver breaking back to the passer on the hook. Going a little deeper, this throw is placed in a tight zone in a window optimal for the receiver. Rettig once again displays nice footwork to climb the pocket away from outside pressure and keep his eyes down field. Moreover, Rettig sets this up by beginning his drop with a long enough look to the middle of the field, which holds the linebackers in place and opens this zone for Amidon to work underneath. Here’s another small gain, but a nice play on a 3rd-and-four. Rettig’s target is Amidon, the receiver at the top of the screen. UM plays two safeties deep and rushes four. As you can see thus far, when Rettig has time to get that back foot into the ground he flashes arm strength and sometimes hyper-accuracy. On this play, Rettig doesn’t get that time. Miami earns inside penetration off each tackle. Rettig looks to the middle, slides to the left, and makes a nice throw off his back foot with enough velocity to hit the receiver crossing from outside-inside into decent coverage. The receiver gets the first down and Rettig takes a hit after making the throw. While the true test of a passer with physical gifts is to deliver a ball on-target and off-balance in the middle zone, this short-zone throw is still notable. Although this play doesn’t end well for the Eagles, Rettig placed the team in great position for a big-play on this 1st-and-10 with 12:32 in the game. Miami plays a single-high safety and decides to begin sending more than four men into the pocket. This is the first of several five-man pressure packages that come in the fourth quarter and they fail to sack Rettig once. The play was designed for Rettig to find one of three receivers flooding the various zones on the left side of the field after a play-action boot in that direction. However, the safety forces the action early with his blitz. Rettig has a good feel for the location of his running back working the right flat on a bullet route as the backside receiver and is agile enough to pivot right and make an accurate throw with the defender in his face for a big gain that ends with a turnover. While there’s nothing but good shown here, there are some things to note by nature of their absence. Rettig never threw the ball away in this game and considering he is known for holding onto the ball too long and taking sacks, there was nothing in this game to dispel this behavior. Rettig also has a high touchdown-to-interception total. The BC quarterback tossed an interception in this game where he didn’t read the underneath coverage on a slant and he attempted a number of tight-window throws. I’m more concerned about the mix of aggression and discipline with interceptions than holding onto the ball too long. If Rettig can actually play in the same offensive system for a few years, this tendency could diminish over time. However, high interceptions rates also a result of a team playing from behind and forcing a quarterback to take risks. I saw several of these attempts at the end of this game where the quarterback might have had smarter choices, but not the time left in the contest to act with care. For analysis of skill players in this year’s draft class, download the 2013 Rookie Scouting Portfolio.The 2014 RSP will available April 1 and if you pre-order before February 10, you get a 10 percent discount. Better yet, if you’re a fantasy owner the 56-page Post-Draft Add-on comes with the 2012 – 2014 RSPs at no additional charge and available for download within a week after the NFL Draft. Best, yet, 10 percent of every sale is donated to Darkness to Light to combat sexual abuse. You can purchase past editions of the Rookie Scouting Portfolio for just $9.95 apiece.